Since version 1.7.4 GravityView settings is using the Gravity Forms add-on settings capability to enable the screen. Since then, only users with the WordPress capability manage_options are able to access the GravityView settings screen. 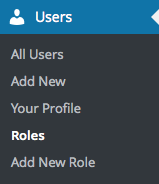 If you are not sure if you have the right capabilities on your users' role we suggest you install a plugin like Members, check under Users > Roles. On some WordPress installations we found out there is also the need to have a Gravity Forms capability gform_full_access in order to be able to see the Settings menu. After adding the capability click on Update Role.